Integration HTTP Commander with Clouds Storages allows to interact (edit, upload and download files, folders) with popular cloud services storage: Google Drive, Dropbox, Microsoft OneDrive. Integration with Google Drive allows users of HTTP Commander create/edit documents in Google Docs, download and upload your files and folders from the cloud storage Google Drive. To configure this feature, perform the following steps. Go to the Google Developers Console. If required, sign in to your Google Account. Create new project (or select existing project). Select the newly created (or existing) project and in left menu go to Overview, than select Google APIs tab, search Drive API and enable (if they are not enabled). Next go to Credentials and add credentials to your project. Press What credentials do I need? button. For Authorized redirect URIs field set empty value. 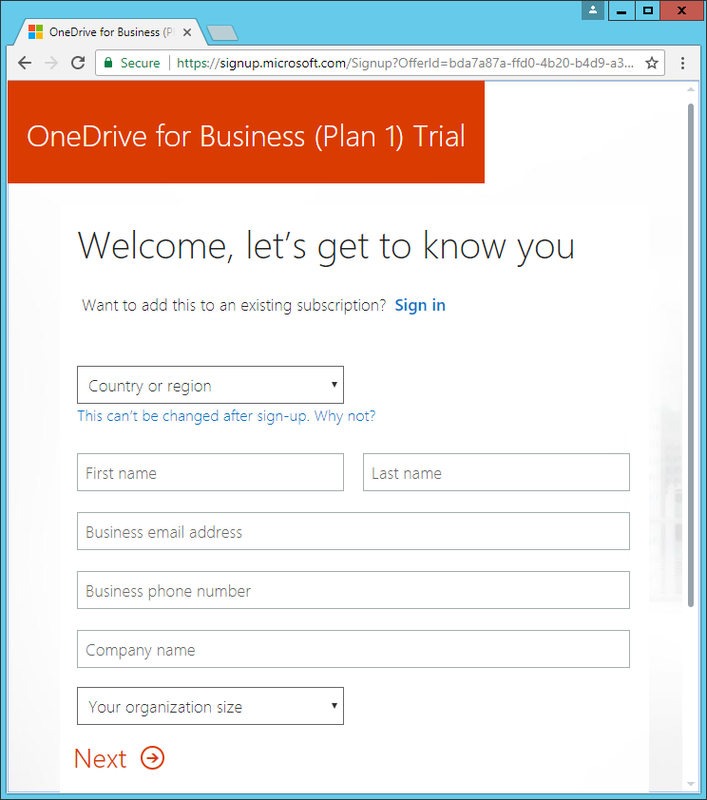 Press Create client ID button. Set product name shown to users and press Continue button. Copy the value of Client ID. Go to Settings tab of HTTP Commander Admin Panel. If the hidden settings are not visible, then click Show advanced parameters button on toolbar of Settings tab. In the hidden setting GoogleClientId (section Office) paste the copied value Client ID. For the parameters EnableDownloadToGoogle, EnableUploadFromGoogle (section UploadDownload) or-and EnableGoogleDriveEditor (section Office) set values to true. After setting the values ​​do not forget to save your HTTP Commander settings (Save settings button on the toolbar of Settings tab) and restart the application (Restart application button). 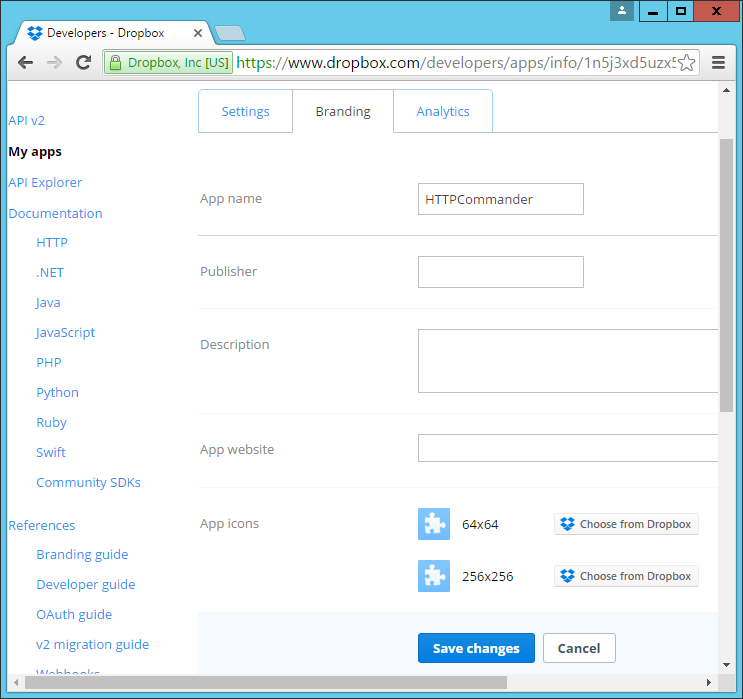 Integration with Dropbox allows users of HTTP Commander download and upload your files and folders from the cloud storage Dropbox. 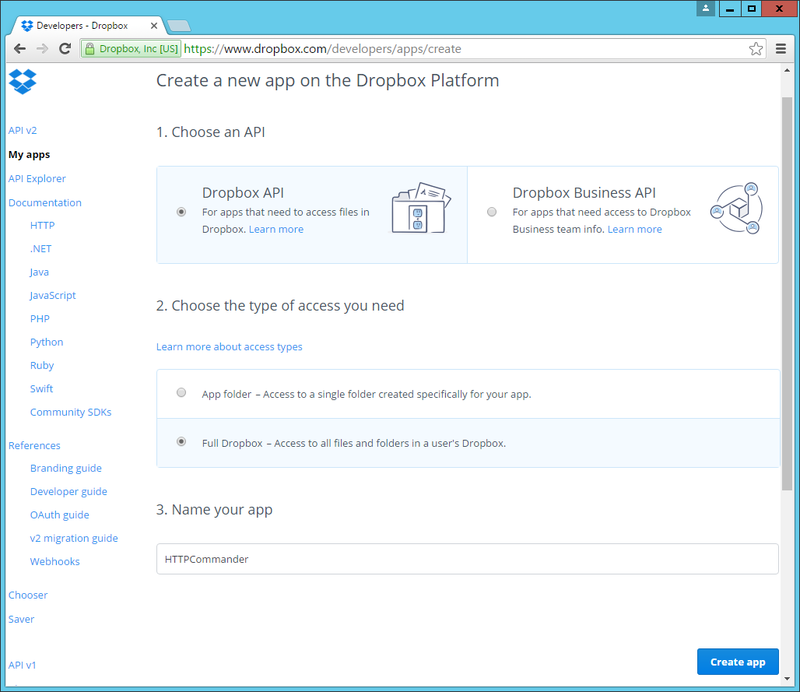 Go to the Dropbox App Console. If required, sign in to your Dropbox Account. Then click Create app button and if necessary, perform the verification email. 2. Full Dropbox — Access to all files and folders in a user's Dropbox. 2. 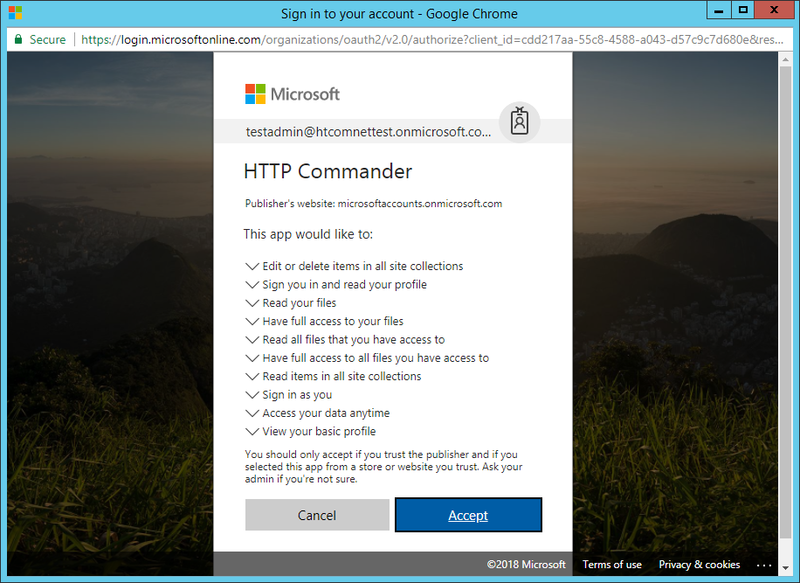 Then enter the name of the application (for example, HTTPCommander) and click Create app button. for the Redirect URIs key specify urls to default.aspx and scripts/clouds/dropbox-callback.html pages of HTTP Commander in lower register (required). Note! For Redirect URIs parameter url only on https protocol can be specified, respectively use of Dropbox opportunities possibly if you open HTTP Commander over SSL that is signed by a valid certification authority (see FAQ: How can I use HTTP Commander with SSL?). For Allow implicit grant choose Allow. On the Branding tab specify Publisher, Description, App website & icons. This is necessary for production status. Learn more about production status requirements. In the hidden setting DropboxConsumerKey (section Office) paste the value of App Key from Settings tab on page of created application in Dropbox. For the parameters EnableDownloadToDropbox or-and EnableUploadFromDropbox (section UploadDownload) set values to true. Then open your HTTP Commander link, which you added to Redirect URIs application settings Dropbox (for example, https://yourdomain.com/htcomnet/default.aspx), sign in and try to download the file(s)/folder(s) in your Dropbox storage (use that Dropbox account in which you create an application) using the context menu or toolbar: Cloud storages → download to... → Dropbox. Use development status. To do this, click Enable additional users button in line Development users. But in this case the number of users is limited to a 500 users. Use production status. To do this, click Apply for production button in line Status. 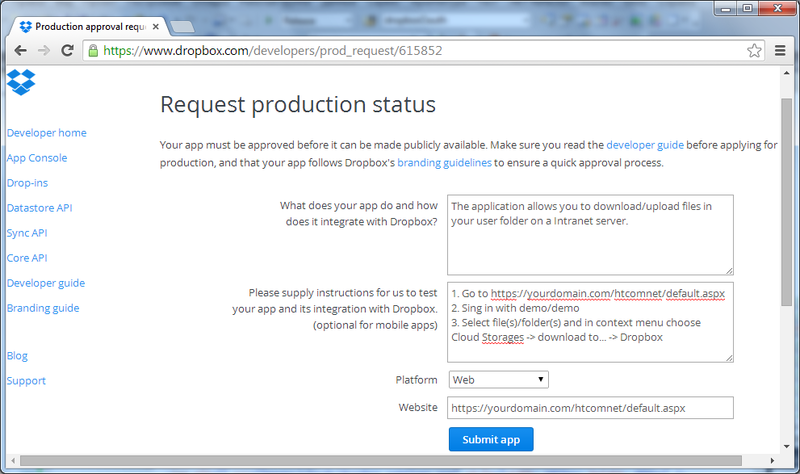 Then fill out the form Request production status, specifying the Web as a Platform and expect to change the status of. 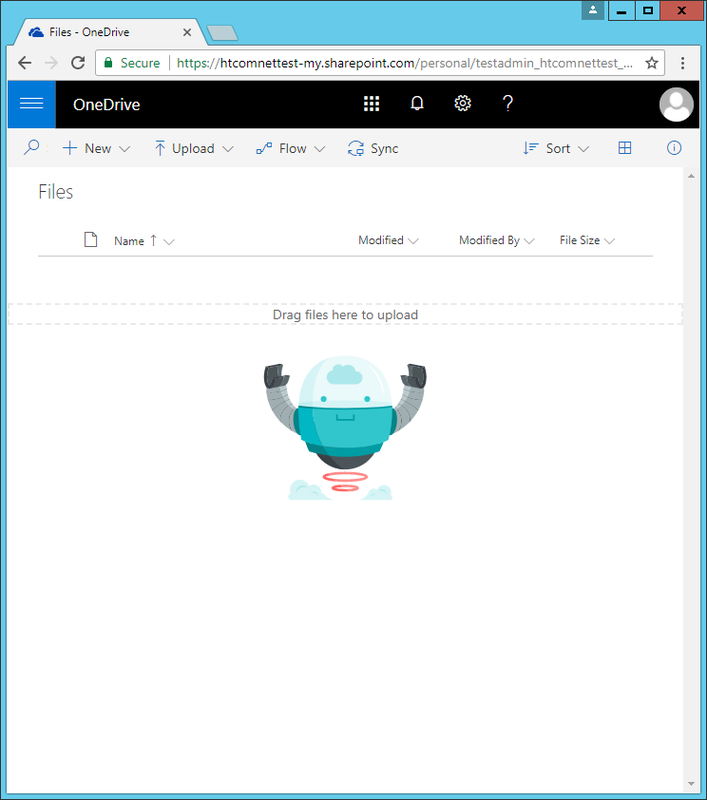 Integration with Microsoft OneDrive allows users of HTTP Commander create/edit documents in MS Office Online, download and upload your files and folders from the cloud storage OneDrive or OneDrive for Business (Office 365). 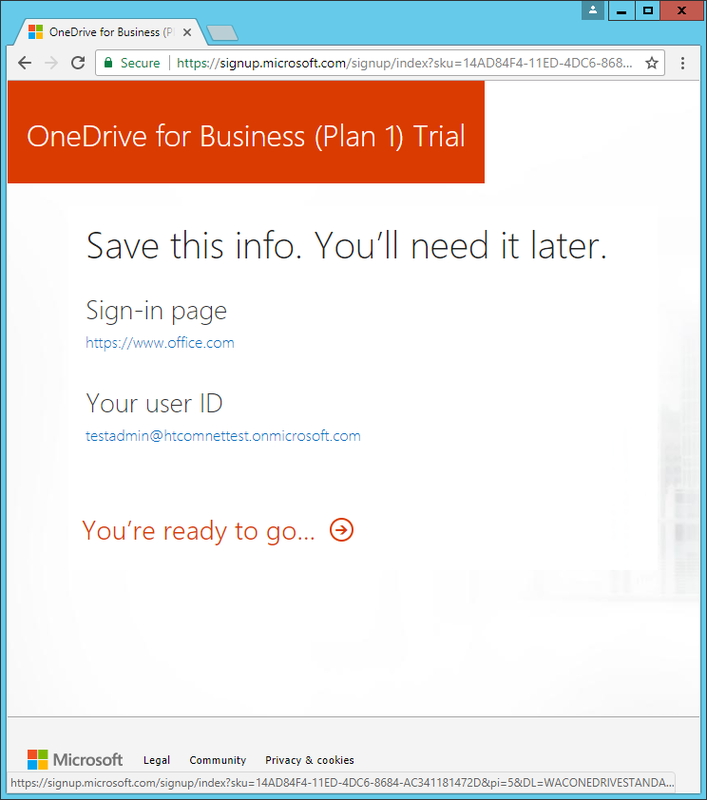 If you plan to use Office 365 (OneDrive for Business), you must have an Office 365 account. 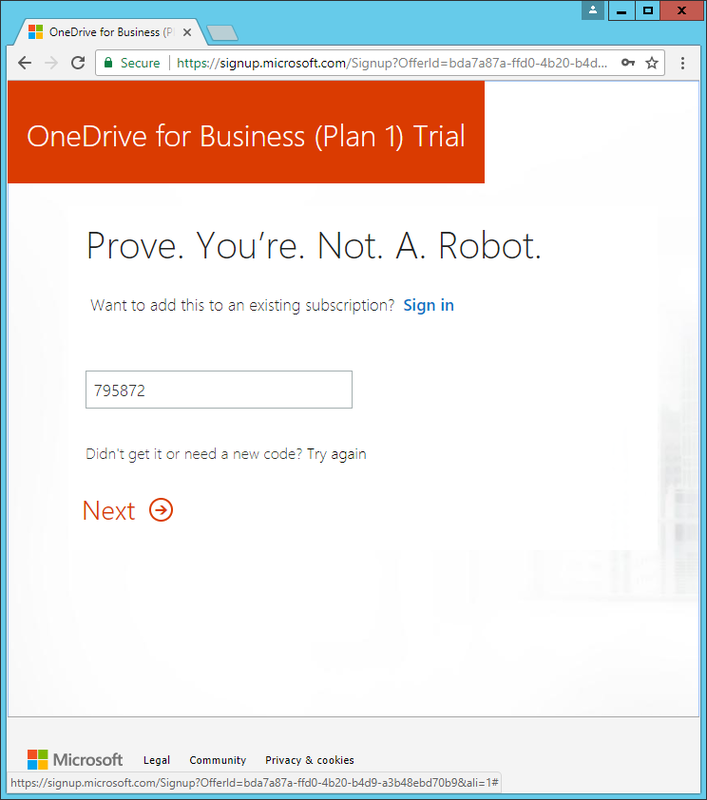 If you do not have an Office 365 account, then you can select the desired plan and register, or try the free trial period. 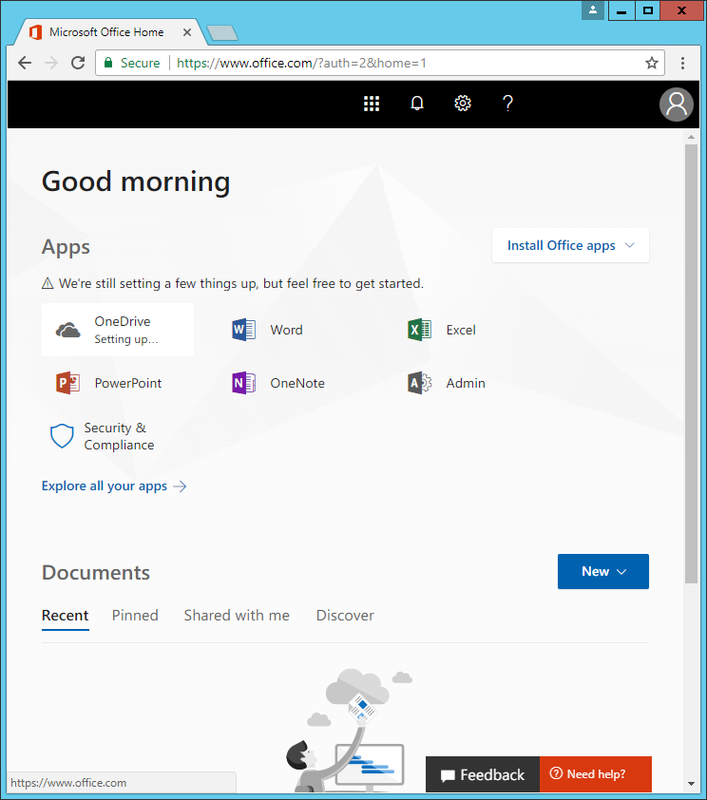 For more info see Get an Office 365 account to access Office 365 APIs. 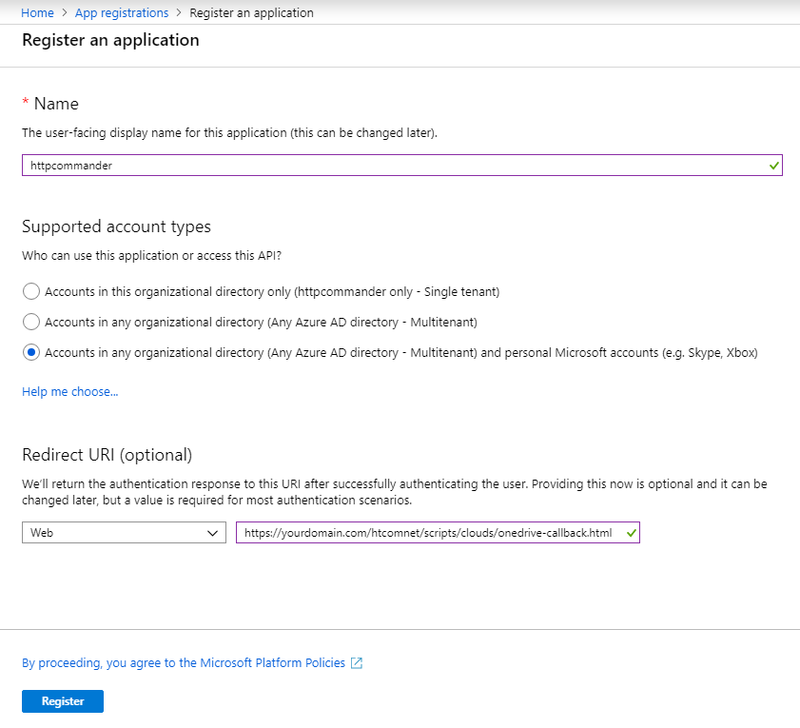 Creating and configuring HTTP Commander application in Microsoft Application Registration Portal. 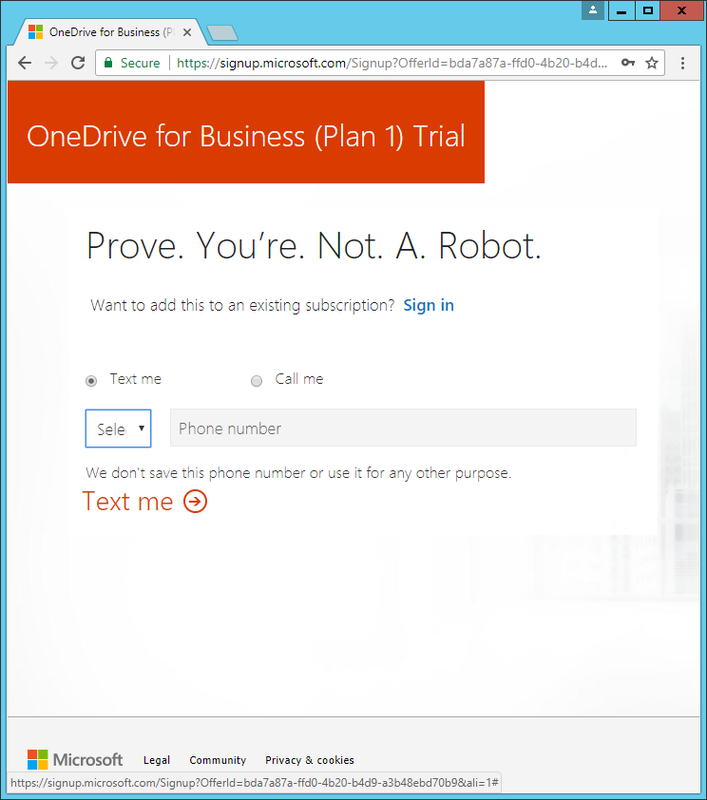 To do this, follow the link and sign in to your account OneDrive. Note! If you already have configured the application, then go to step 2. 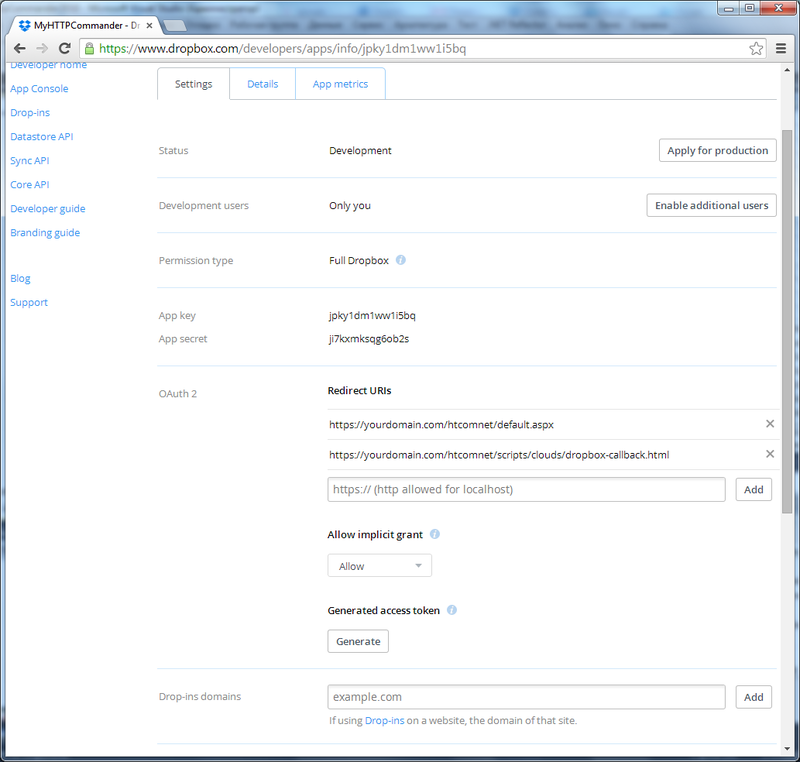 Enter the name of application (eg HTTP Commander) and click Create button (also uncheck Guided Setup for faster registration). You will then see a page with properties of the created application. Next, in the Application Secrets click Generate New Password. For more info see Get Drive Permissions. Further, you can set up the Profile: logo, link to application, etc..
Also see: Registering your app for Microsoft Graph. 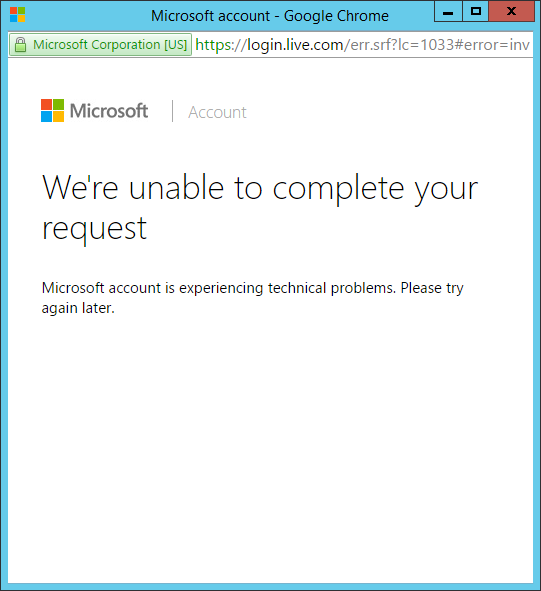 Go to Microsoft Application Registration Portal. 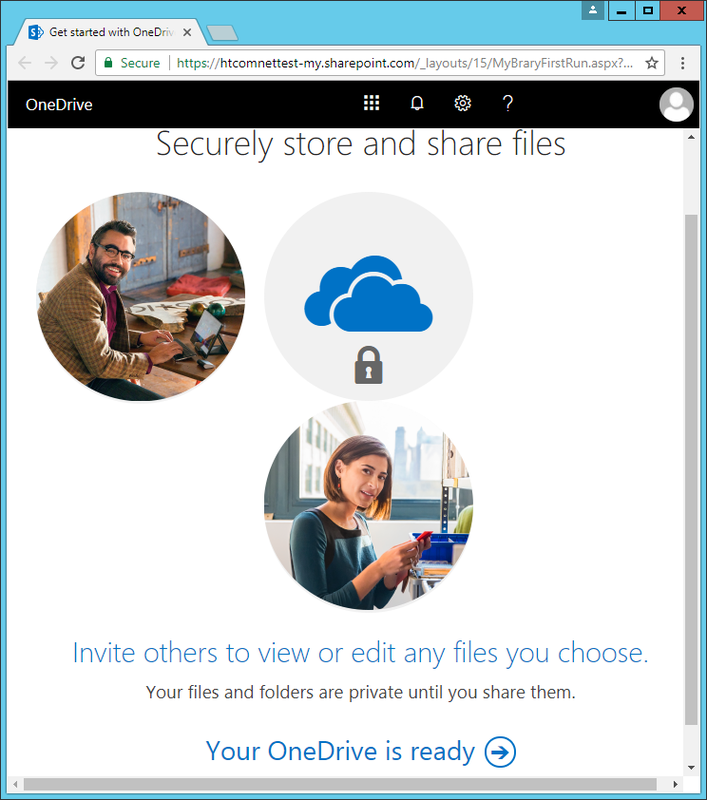 If you are not already logged in to your OneDrive account, log in. Choose your the HTTP Commander application in the Converged applications section (existing or newly created in the previous step). Copy the value of Application Id (for example 5bbdd707-6688-438d-b38b-4b74ec5eb910). 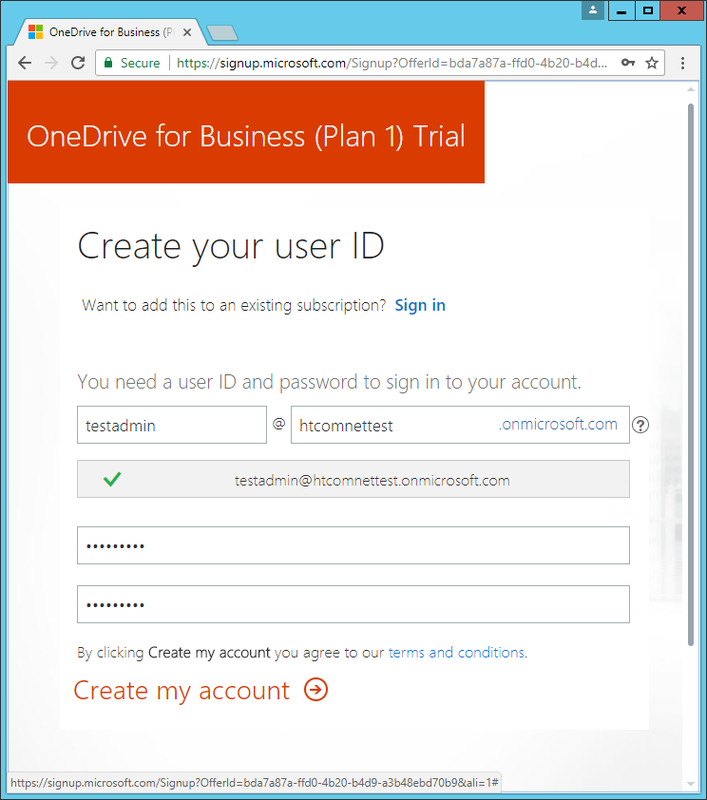 In the hidden setting OneDriveApplicationId (section Office) paste the copied value Application Id. that need to be checked (and to set if not exists) Redirect URIs property. See Redirect URIs article.